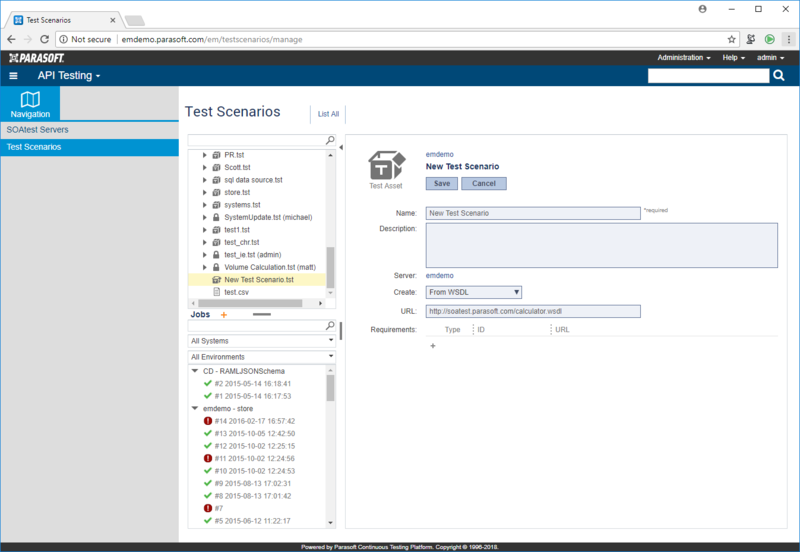 To create a SOAP test scenario you must copy & paste the WSDL URL into CTP. If my screenshot doesn't help can you send a screenshot of your own showing which dropdown you expect to open? Do other dropdowns open? Try the dropdowns in the jobs panel on that same screen that say "All Systems" and "All Environments." Note that there may not be any other choices for these if you have not created systems and environments in CTP. If you are experiencing a general problem with dropdowns please indicate which browser and browser version you are using. Perhaps you should try a different browser.